Reiners live and breathe to slide their horses every day. Have you ever wondered what it really looks like in slow motion? Have you looked beyond the length of the slide and flying dust to see what the horse is required to do? It happens so quick it can be difficult to see, until now. 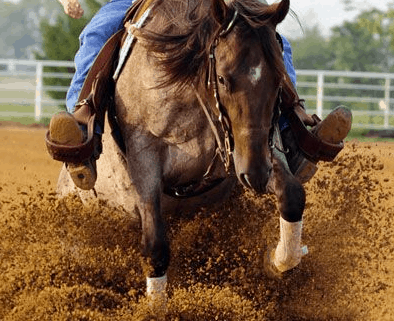 The futurity event is the pinnacle of reining accomplishment as they take horses through a 2 year grueling training program in pursuit of winning the covenanted prizes in Oklahoma City, USA as late 3yo’s. The Italian futurity and other futurities happening across the world. 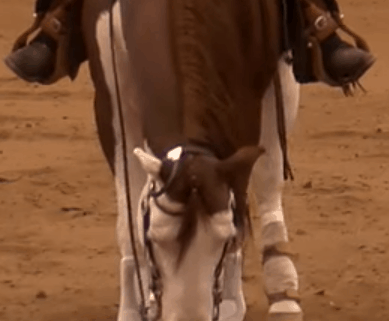 When we saw that Russell Guire of Centaur Biomechanics had videotaped a reiner with his high-speed video camera, we knew it would show the real pressure and psychical strain these horses go through. There’s no doubt these horses get a workout in the biomechanics department. This is one of those videos that you should watch once or twice, then go to full-screen mode and watch it while toggling the stop/play buttons. Watch the neck, the shoulder, the back and the hocks. 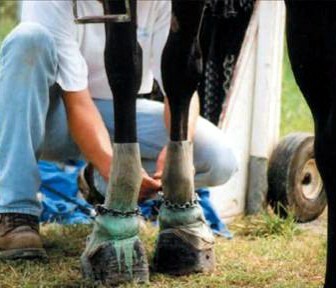 Some horses get high level care, but many do not, and that does not mean they are going to be any better off. Watching the video makes it a little easier to understand why Adequan is one of the largest sponsors of the Futurity. These relatively small horses are carrying a heavy saddle and rider, well above the accepted ratio of 20% of the horses body weight. And then asked to turn inside out to slide and stop. Look at the tail bone and see how much work it does in balancing and helping the horse achieve the sliding stop. 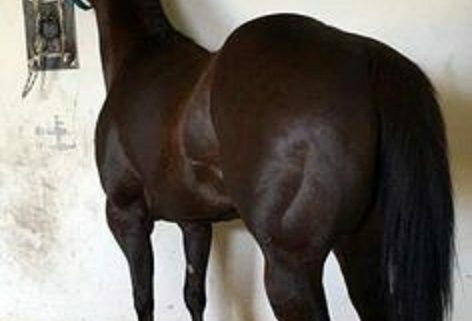 Regrettably most tails are blocked to avoid penalty scores these days, creating even a great psychical detriment to the horse during the slide. Many trainers are asking baby horses, just 2yo (some started under saddle even earlier) to start sliding within 90 days of being under saddle and some by 6 months are boasting about the length of the slide. No wonder so many break down or are running on drugs to enable them to get shown or even stay in training. I’m sure everyone who watches Russell’s video will see something different. 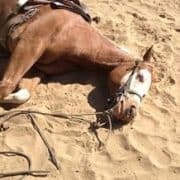 But maybe after watching it, you will notice more than you did before the next time you watch a reining horse slide, and maybe you’ll look at some different parts of the horse and consider what they are really asking this horse to do. If you care for the Welfare of Horses please vote on our poll now for change now. The National Reining Horse Association as gone to great lengths in their handbook to define their Animal Welfare and Medications Rules and Regulations within their Handbook. As we mentioned in a recent article “NRHA turns back on horses again in 2017” the reference to welfare is weighted heavily to medications, not abuse. That is a weighted ratio of just 6% emphasis on abuse and the balance on medications. Many would say that is just not good enough to manage and stop the abuse of horses that people write about observing in warm-up pens of NRHA shows across the globe. Many questions can be asked about the medication rules. The rule book states the testing can include physical examination, obtaining urine samples, blood testing or any other tests that an approved veterinarian considers necessary. All except the physical examination would have results post the horse competing in its classes. It raises the question does the horse still competes medicated or do they have on-site rush service for testing? Some of the prohibited drugs can take effect in a matter of minutes or within the hour before a person enters the ring. How is that tested? The horse is being warmed-up ready to show, a quick trip back to the stable and they are ready to go with it looking like it was just a quick slick up ready to show. Those that use medications would be swift and secretive in how they give them. The test of whether the NRHA enforces the medications rules would be in the rulings. How often are people seeing someone’s placing withdrawn after an NRHA event as they were found to be in breach of the medication rules? Do they discipline the person but the horse keeps its placing at the event even though it had an unfair advantage? The big question is, has anyone been disciplined for breach of the NRHA Medication Rules? Surely they did not write all those rules because the problem does not exist? Keeping it positive, if there were no convictions and the testing is happening, then there are the costs associated. The NRHA funds the medications testing and the costs should appear on the annual financial report to all the members. Are any members aware of the cost of testing in the last fiscal year (2015) or have an indication of what the costs were in 2016? 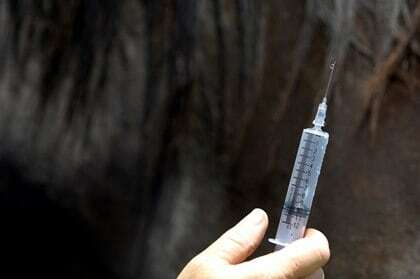 Reading the NRHA Handbook is an education in the application of drugs in the equine sport today. With the listing of drugs available in the handbook, some may see this an instructional guide more than a set of rules if they are not consistently testing. Don’t forget to go to the Poll on our website and vote. http://www.reiningtrainers.com/wp-content/uploads/2016/12/Drug-testing.jpg 279 420 Animal Welfare http://www.reiningtrainers.com/wp-content/uploads/2016/06/RT-LOGO2sml-300x174.png Animal Welfare2016-12-08 21:10:392016-12-08 21:10:39Do the NRHA Enforce Medication Rules? At the FEI World Reining final warm-up, Martin Muehlstaetter took to this horse in full public viewing with his spurring, sawing and gouging like a possessed man. 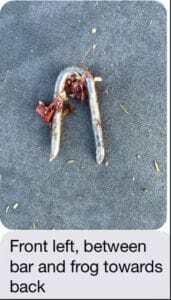 The excitement of a major show, the overwhelming desire to win at all costs, sees the horse suffer to a level that should have demanded his immediate dismounting of the animal and removal from the show. Cleary unable to rationalize right from wrong, this man now travels the world giving clinics on reining horse training and is upheld by the NRHA as one of the Top 20 Trainers in the world. 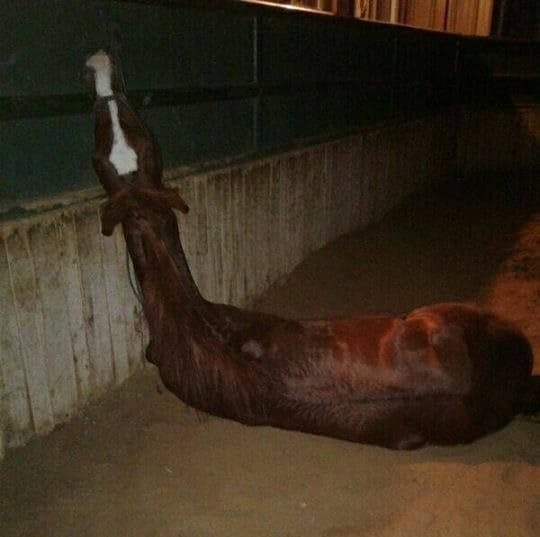 Is this what it takes to train a reiner or is this a person that is incapable of controlling his emotions? Is this an association that condones horse abuse to keep the entertainment rolling and trainers flowing the cash through their tills? 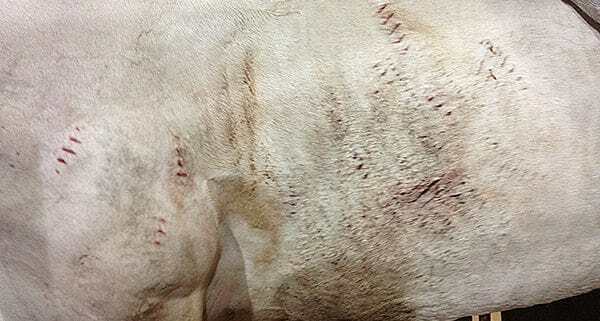 It would seem that at these FEI world championships the world became aware of the horse abuse that has been occuring hidden away in niche show pens and barns for many a long year.